The Centre for Defending the Freedom of Journalists (CDFJ) on Thursday welcomed the release of detained Al Jazeera journalists Baher Mohammad and Mohammed Fahmi on bail. 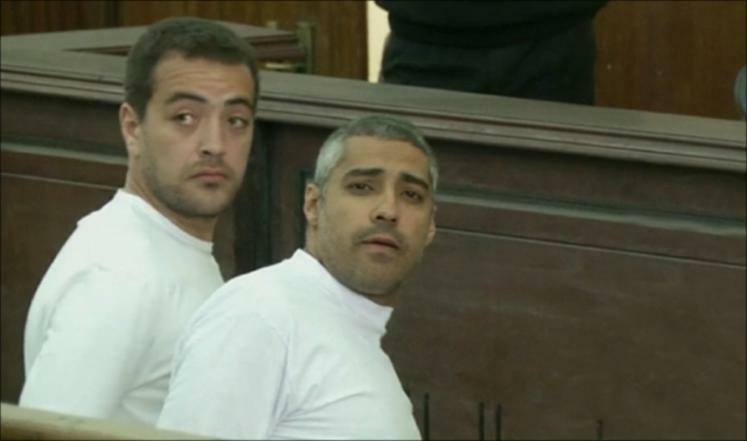 The reporters were imprisoned by the Egyptian authorities for over one year. In a statement, the centre underlined decision to release the journalists on bail is considered a “good step that paves the way for their complete freedom”. CDFJ President Nidal Mansour expressed his “satisfaction” over the move after their “long suffering in jail”. “We hope that this would be the start of other legal measures to close this file down and perhaps release all media personnel arrested in Egypt,” he said.